Stay on pace. 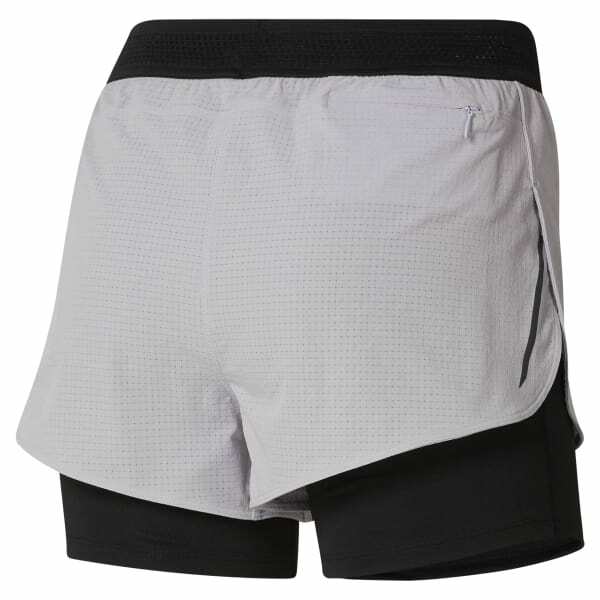 These women's two-in-one running shorts combine stretchy, ventilated outer shorts with fitted, sweat-wicking inner shorts. A drawcord at the elastic waist provides an adjustable fit, while reflective details increase visibility on low-lit evening runs.